A friend of mine put up this post on his Facebook page this past weekend: "My gym shoes smell like moldy Kosher pickles. I hate feet." It make me sad to hear people dissing their feet and its unfair that feet get such a bum wrap. Feet are amazingly strong, mobile and adaptive but are disproportionately insulted compared to other body parts and for no reason of their own doing. Most of us take our feet for granted. We don't give them nearly the regular care and attention they require and then, when they start to show the signs and symptoms of that neglect, we blame them. In regards to the above statement, I do get a fair number of comments about "Stinky Feet" and "Smelly Gym Shoes" from patients in my office on a pretty consistent basis. Most folks wash their feet just once a day (and greater than half admit to not soaping them up and scrubbing when they do.) 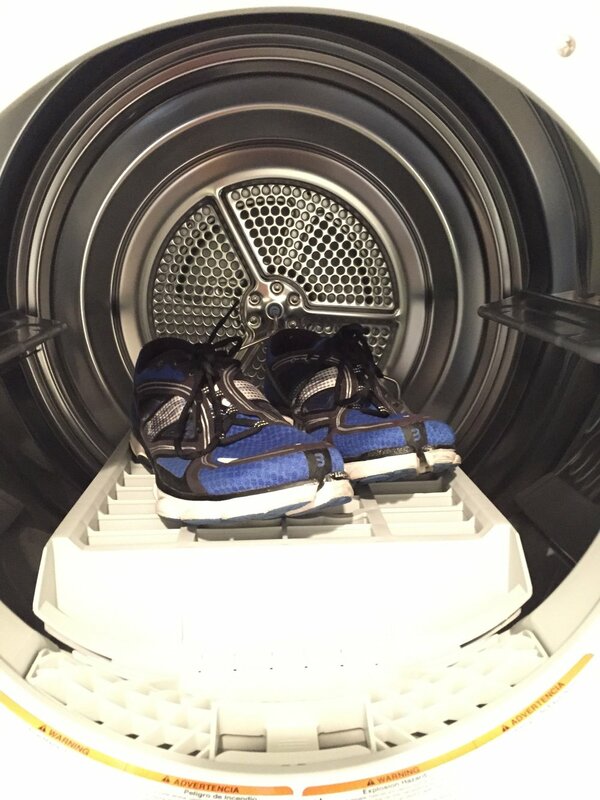 Then, they get covered with socks and put in a warm, dark environment (i.e., the inside of a shoe or sneakers) that becomes moist when they start to sweat. 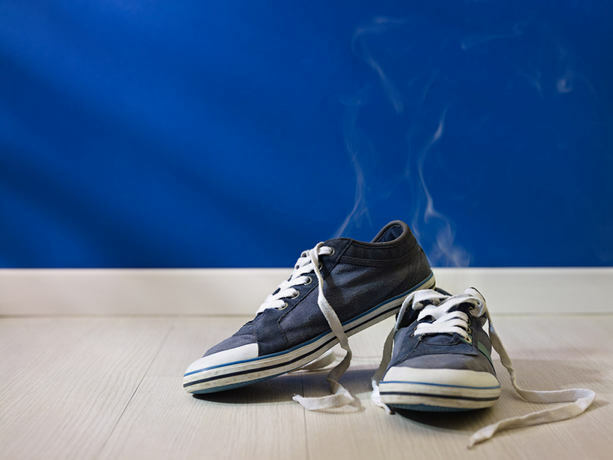 It's no wonder that most feet that are treated this will way eventually cause shoes (which don't usually get washed or cleaned) to smell and take on bad odors. 2) Give your shoes a spray of Lysol or Febreeze after each use. Just keep the spray bottle in your closet where you keep your shoes. Especially after hard workouts on long periods of wear when you've been sweating in them, this will combat odors. 3) If your feet tend to smell after even just a casual day of minimal activity, you can use a natural deodorant for your feet called Naturally Fresh Crystal Deodorant. After showering, you simply rub this on the bottom of your feet while they're still a bit damp and it really works to control the odor that some people's feet generates. 4) A good moisturizing cream goes a long way. Feet that receive regular moisturizing have skin that can better regulate sweating and resist odor-causing bacteria and fungus. 5) Be sure to wash your feet with an anti-bacterial soap and warm water, every day. It's critical that you scrub the skin well in order to exfoliate the the thin upper layer of skin, which contains dead skin cells which can become a breeding ground for odor-generating bacteria. Be sure to wash your feet both on the top, bottom and in between your toes. 6) Make sure to change your socks every day. Never re-use/re-wear them. With just a little love and extra effort in the form of regular care, you can keep your feet odorless and your shoes smelling fresh.